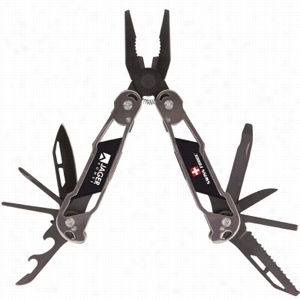 Comfort Grip Stainless Screwdriver Multi-Tool with Nylon Belt Pouch. 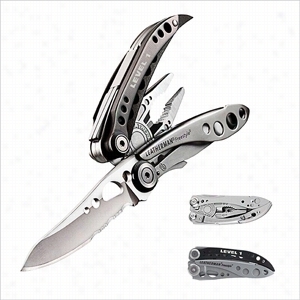 This comfort grip stainless screwdriver multi-tool is an entirely new concept in portable stainless steel hand tools. A unique handle system allows each tool to rotate into place and be used with a totally enclosed handle. Each stainless steel tool is hand polished and includes two Phillips screwdrivers, two standard screwdrivers, cutting Blade and scissors. Comes with nylon Pouch with belt loop and Velcro closure. 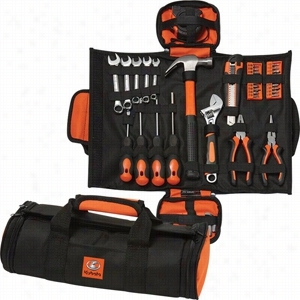 This complete 43-piece tool set comes conveniently packaged in a compact, durable,polypropylene carrying Case. Tools feature black grips with red accents and come in a black tool box. 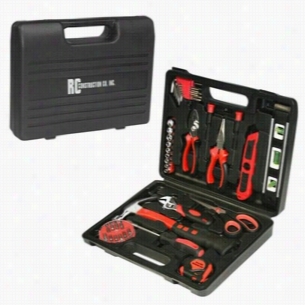 The tool set contains: two (2) precision screwdrivers, one (1) long nose pliers, one (1) 6" slip joint pliers, one (1) utility knife, one (1) 9"level, 1 scissors, one (1) 6" adjustable wrench, one (1) 8oz claw hammer, one (1) 3m/10ft tape measure, one (1) 9 piece socket set(1/4" Dr. 5-6-7-8-9-10-11-12-13mm), one (1) 12 piece hex key set (0.9-1.2-1.27-1.5-2-2.5-3-3.54-5-6), and one (1) bits holder with 10 bits in a round box. Pedro&apos;s Multi-Tool Hex Set w/ Screwdivers 7-Function Bike Tool. 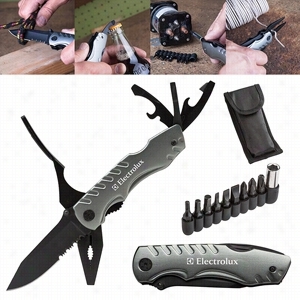 Rugged detailed aluminum case with anodized gunmetal finish, Heavy-duty sprayed black finish stainless steel Tools, Includes: Long nose pliers with wire cutter, Knife with half saw teeth, Bottle opener with flathead screwdriver, Slotted screwdriver, Can opener with medium flathead screwdriver, Bits switch, 9pcs Screwdriver bits, Handsome black polyester carry case with belt loop included. 45 Pc Foldable Tool Set. Set includes needle nose pliers, combination pliers, adjustable wrench. hammer, magnetic driver handle and 20 piece bit set, Phillips screwdriver, two flat head screwdrivers, 5 combination wrenches and knife. 9 piece Allen wrench set and measuring tape. Tools are enclosed in a zipper and Velcro Nylon tool Bag. Includes side slash pocket and carry handles. 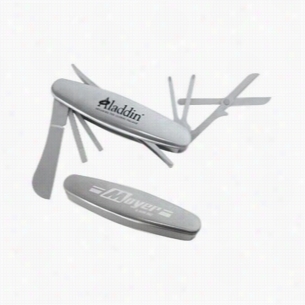 Functions include pliers, knife blade, ruler and scale, Phillips-head screwdriver, flat-head screwdriver, bottle opener, can opener, saw blade, and Nail file.Includes nylon storage Pouch with belt loop.Material: Aluminum case with stainless steel tools. 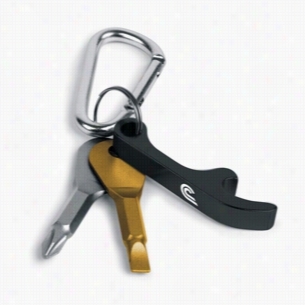 The Tonca 11-Function Mini Multi-Tool. 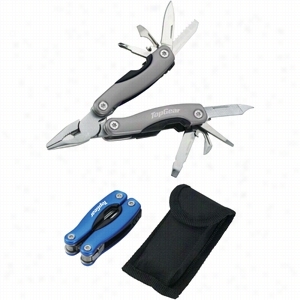 Functions include pliers, knife blade, Phillips-head screwdriver, flat-head screwdriver (small and large), bottle opener, can opener, saw blade and nail file.Includes nylon storage Pouch with belt loop.Material: Aluminum case with stainless steel tools. 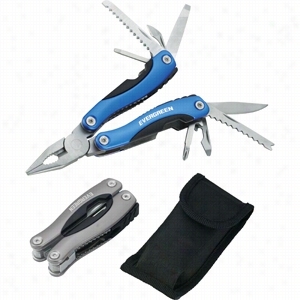 The ultimate utility tool for the handy man.13 Function multi-tool Superior Stainless Steel Tools.Folds up for convenience and easy portable storage.Includes belt loop nylon pouch.Packaged in a stylish Swiss Force EVA insert gift box.